Calendulas, or pot marigolds, are one of the most versatile, useful plants to have in your garden and are the perfect companion plant for your vegetable plot. The petals of the flowers are edible and have a pungent, spicy taste which can be used to flavour fish and meat soups, to add flavour to cakes, breads and puddings and can be tossed into salads to add a zesty taste and bright decoration. The Calendula also has a long history of being used for medicinal purposes. You can use the flowers to reduce inflammation; fresh Calendula flowers can be rubbed onto a bee sting to relieve the pain whilst the flowers and leaves can be made into an ointment to treat skin diseases and help eczema and acne. 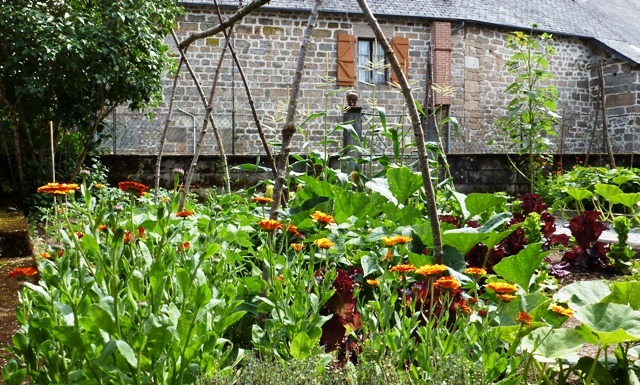 But it was not for these reasons that I chose to grow the Calendula this year, for me the Calendula is an invaluable flower for the vegetable garden, the perfect companion plant. The merits of the Calendula are truly amazing, whilst they can be planted next to the likes of tomatoes to repel whitefly, they can also be planted near to other vegetables to lure away caterpillars and aphids who find the Calendulas irresistable. If this wasn’t enough, the Calendulas also attract many beneficial insects such as bees, lacewings, ladybirds and hoverflies into your garden. To get the most out of this companion plant, I decided to dot clumps of the Calendula all around my vegetable garden, some next to my beans, tomatoes and brocolli with the odd extra clump popped here and there simply because they look so vibrant and pretty. I grew the Calendula from seed, which I planted in seed trays in the greenhouse early last Autumn. They are very easy to grow and are also ideal to sow direct into the ground once the first frosts have passed in March or April. If, like me, you choose to overwinter the Calendula, transplant the seedlings into larger pots once they are easy to handle and keep them moist but not waterlogged and in cool, light conditions away from frost. 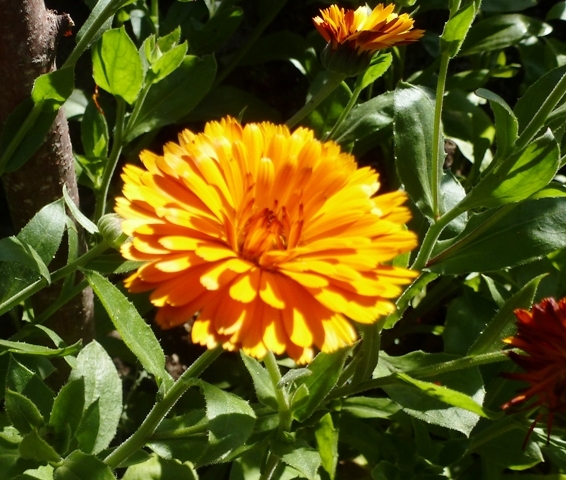 Calendulas are very tolerant of any soil type, poor or fertile, but thrive best in a sunny spot. 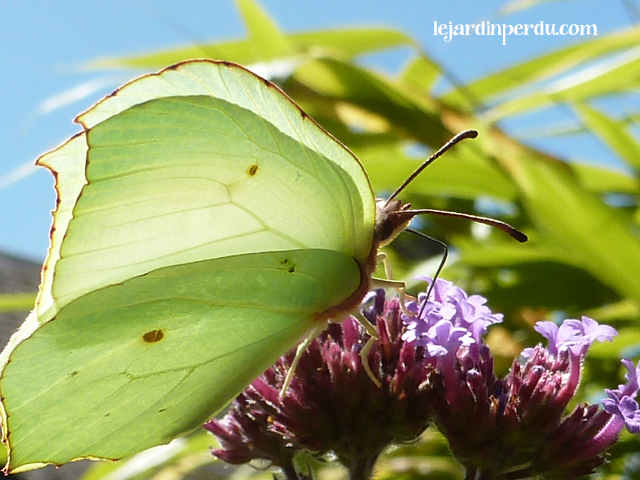 With regular deadheading the flowers will last from June – October, bringing valuable colour and benefical insects to your garden all summer long. Whilst they do self seed moderately well, I recommend leaving a few flowers towards the end of the season so you can collect new seed for planting in the greenhouse in autumn. There are many different Calendulas available, I chose Indian Prince for it’s burnt orange petals with mahogany undersides. Not only do they look stunning in the vegetable garden as a companion plant, they are also wonderful as a cut-flower.